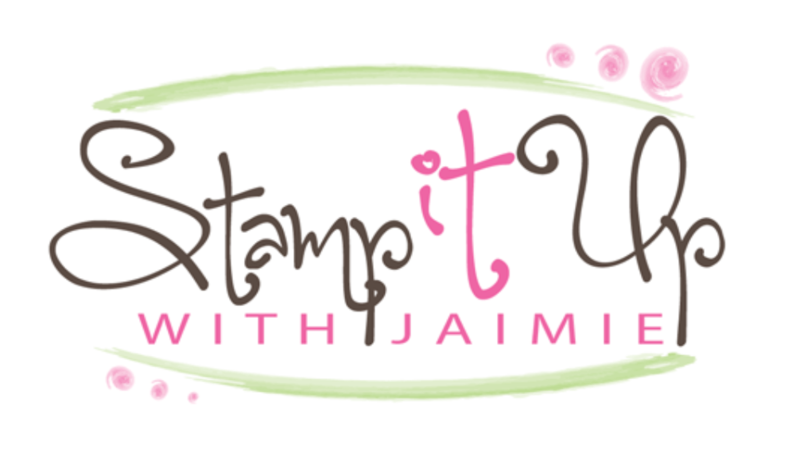 I used the Stampin’ Up! Lovely Friends stamp set bundle from the upcoming 2017-18 Annual Catalog to create my card for the Happy Inkin’ Thursday Blog Hop today. We’ve got a color challenge this week and this is what I created for it. I started by adhering a panel from the Delightful Daisy DSP pack (available June 1) to a Thick Whisper White card base with Multipurpose Liquid Glue. I stamped the sentiment from the Lovely Friends photopolymer stamp set (available June 1) in Night of Navy ink on a panel of Whisper White card stock. 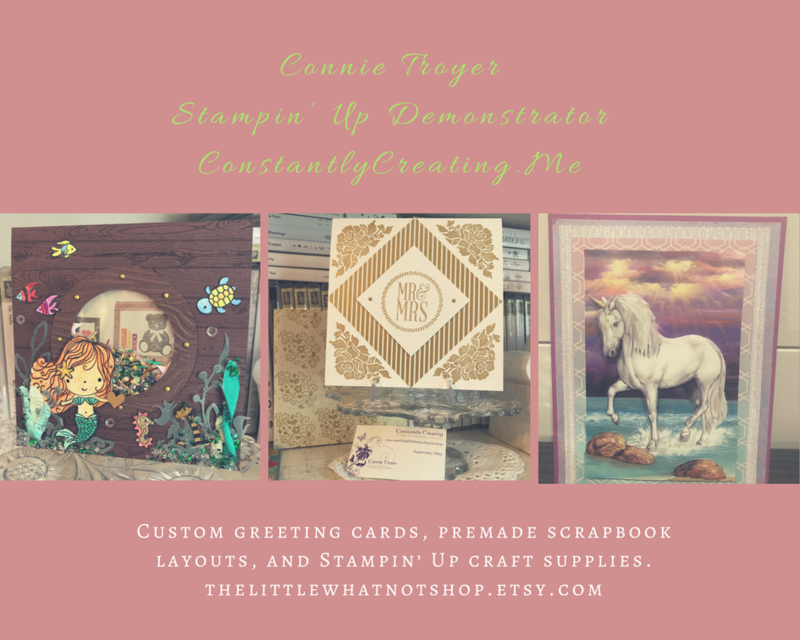 I adhered the panel to a panel of Night of Navy card stock with SNAIL and then to the card front with Stampin’ Dimensionals. I stamped the flower images from the Lovely Friends stamp set in Night of Navy and Daffodil Delight inks (background images stamped on scrap paper once) on a panel of Whisper White card stock. I cut the flowers and two sets of leaves from Old Olive card stock with the matching Lovely Laurel Thinlits Dies. I adhered the Daffodil Delight flower with a Stampin’ Dimensional to the card front and the smaller flowers and leaves with Glue Dots. I adhered strips of Delightful Daisy DSP to both sides of the inside of the card base with SNAIL. The I stamped the sentiment and flowers from the Lovely Friends stamp set in Night of Navy and Daffodil Delight inks on a panel of Whisper White card stock and cut them out with the Lovely Laurel Thinlits dies. I also cut the two background banner pieces from Whisper White card stock and the wreath pieces from Old Olive card stock with the Lovely Laurel Thinlits dies. I adhered the wreath and background banner die cuts to the inside of the card base with Fast Fuse Adhesive and then adhered the stamped banner and flowers with Glue Dots to finish the inside of the card. You can see my Facebook Live video tutorial for using the new Lovely Laurel Thinlits Dies here! This entry was posted in For a Friend, For You and tagged CAS card, for you card, Lovely Friends. Bookmark the permalink. Oh my goodness, I thought the outside of the card was amazing and then you showed the inside, WOW nicely done! Love love love your card! Great sentiments used and the colors are beautiful. I was impressed with the front of the card and then totally wowed by the inside! It’s beautiful! Beautiful card, Amy. The inside is equally nice, and I love the way you added the DSP panels to give it a finished look. So very pretty! Love that big sentiment…..very pretty card! And such a sweet surprise inside! What a gorgeous card. The front is amazing in its simplicity – but the inside is over the top! What a fun surprise when you open up the card. I can’t wait to see how those dies really work. Can’t wait to see the video on FB. Great card. So pretty both inside and out!!! Great use of the colors. Where to start? Colors? Design? Sentiment? Inside? Outside? It is all beautiful. Love the way the inside unfolds. Great color challenge. Wow !!! Love it inside and out ! Very Nice Card! Love the Big Sentiment and the inside! Thanks for sharing!! So pretty Amy! I would love to share this on my blog for ‘My Crafty Friends Monday’. Please let me know if you would prefer that I didn’t share it (of course I give you credit and link back to your blog! ).